I genuinely love baking, and enjoy few things more than the look on people’s faces when I get it right. But usually when I provide baked goods it’s on a whim, so I’ve exceeded people’s expectations just by showing up with a loaded plate in my hands. 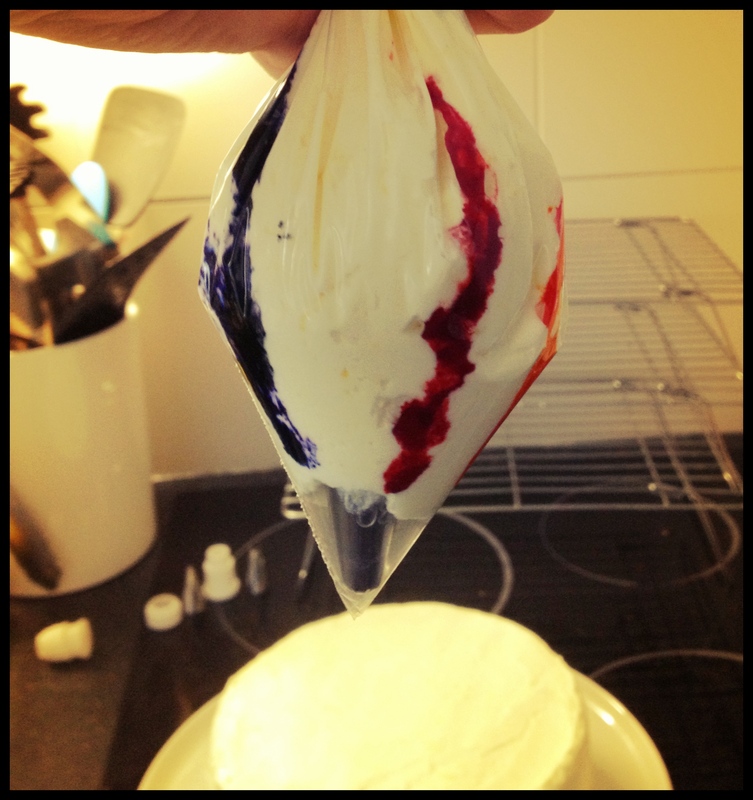 It all changes when I’m specifically asked to bake for someone, particularly for a birthday, and I start feeling the pressure… I mean, heavens to Betsy, who wants a rubbish birthday cake? 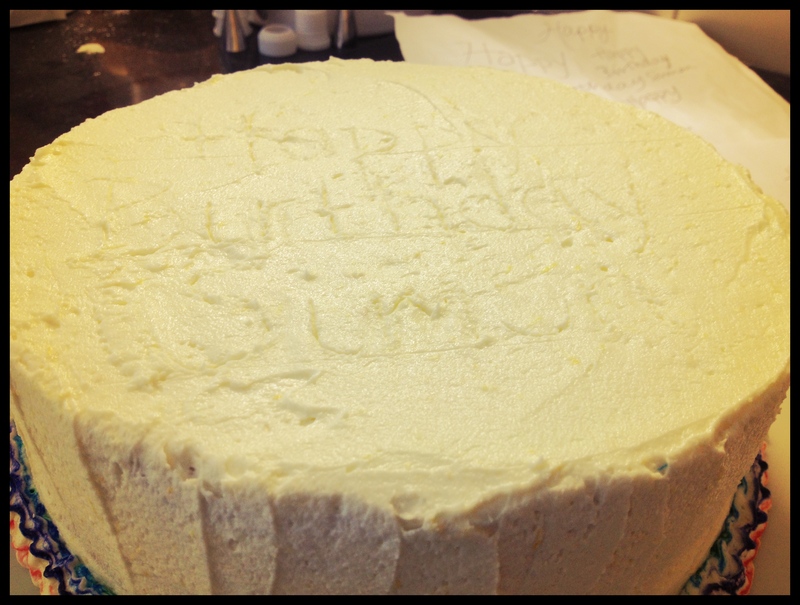 I was flattered to be asked to bake a birthday cake for my discerning foodie friend, Simon. Now, Simon is an extraordinary chef with incredible skills, an admirable palate and an adventurous attitude to food, and he’s also a terribly clever colourist who makes the programmes on your television look blinkin’ awesome. (I have some very talented friends.) 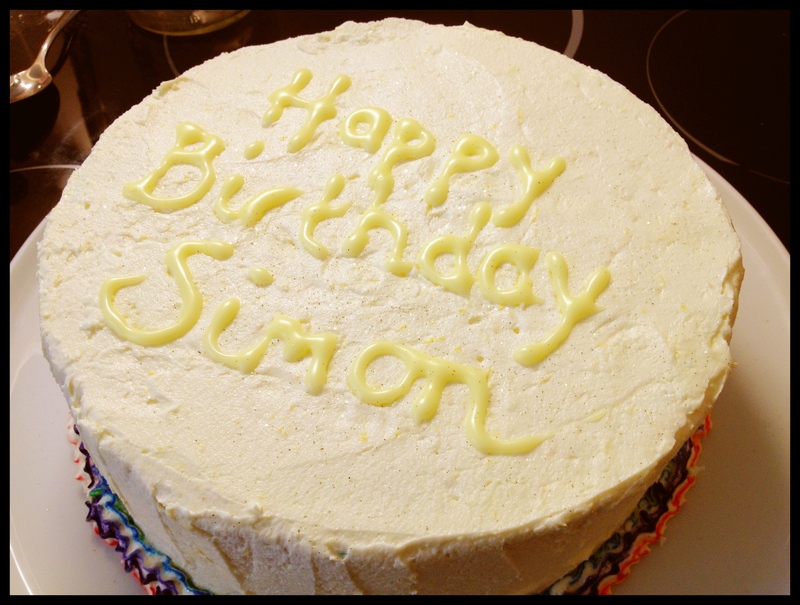 I set out to make a delicious, meticulously baked cake that Simon, his gorgeous wife Jessie and three-year-old daughter Livia would all enjoy: a lemon cake, with a little classy something as a gentle nod to Simon’s love of colour. 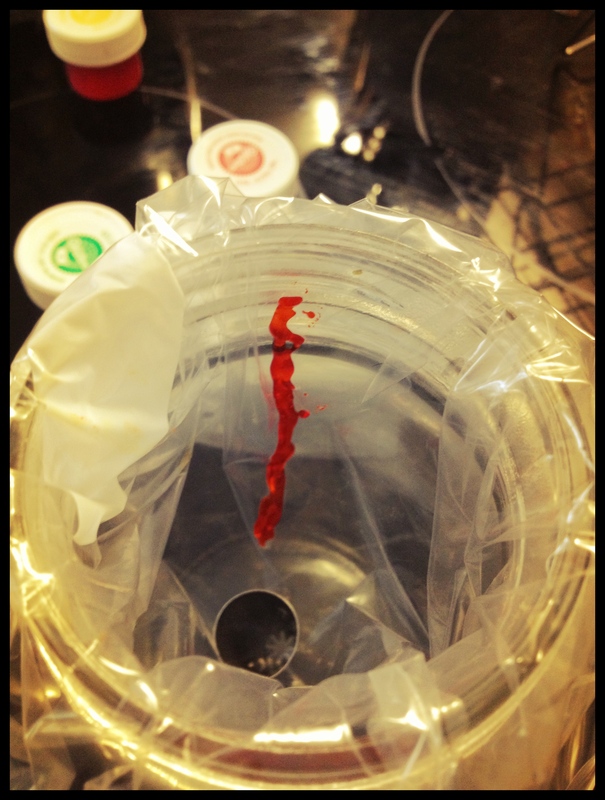 Text just in… Taste-wise, it was “a triumph!”. Coming from Simon, this is praise indeed. 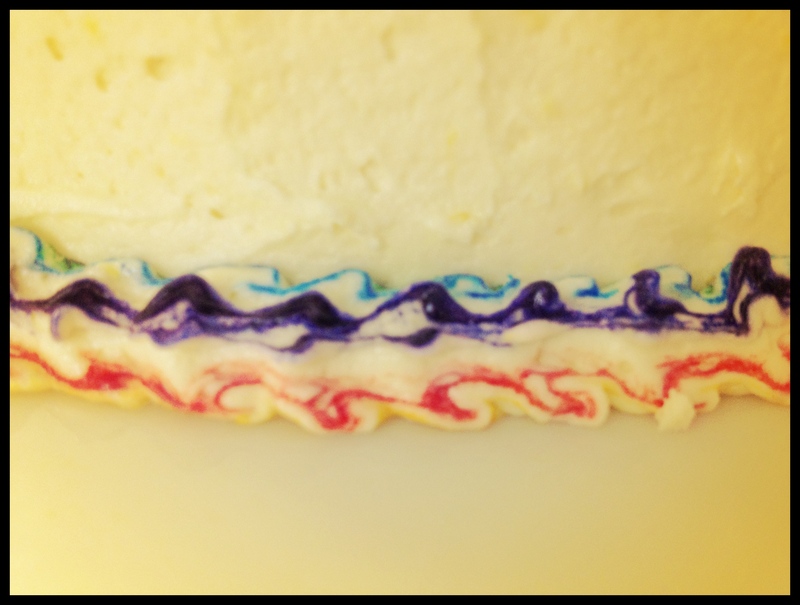 This entry was posted in Cooking & Baking and tagged aquafresh icing, lemon cake, piping, stripy frosting, stripy icing by wordspicturesandcake. Bookmark the permalink.